“Having assumed for months that the United States was unlikely to intervene militarily in Syria, the Defense Department has been thrust onto a war footing that has made many in the armed services uneasy, according to interviews with more than a dozen military officers ranging from captains to a four-star general…Some questioned the use of military force as a punitive measure and suggested that the White House lacks a coherent strategy. If the administration is ambivalent about the wisdom of defeating or crippling the Syrian leader, possibly setting the stage for Damascus to fall to fundamentalist rebels, they said, the military objective of strikes on Assad’s military targets is at best ambiguous.” Ernesto Londoño in The Washington Post. 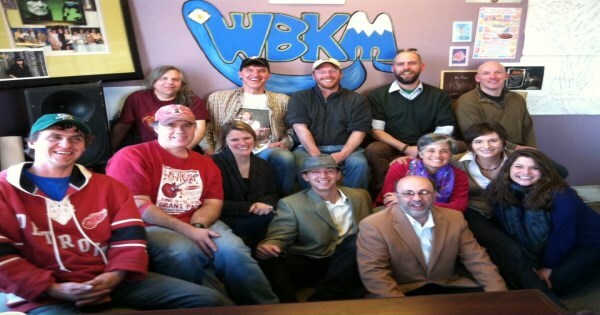 I just got back from Radio show 27 on WBKM.ORG. I thought it went pretty well, but with wide open windows, four Fire trucks went by, starting at the beginning of my second break. They were nicely staggered, so when there was a space after one went by, another came along. Live radio, what are you going to do.? I got in early and started putting in songs at 8:30, then stacked a few after the show. From our small city to the great big world, these are the sounds of Burlington. Actually, tonight we are going to start a little south of Burlington. These next three bands are from the town of my father’s birth, Rutland. Here is Will on WBKM, Burlington’s kind of music. Matt Marro was a roommate and bartender who got me into all three bands. He and Eoin are in Will and STC, Connor is in Will and Thompson, and Dave & Jeremy are in all 3. Next up is the next song from Swale’s A Small Arrival. Hana was great at Radio Bean last Friday. She had us sit on the floor and somehow made the place even more intimate. Colorblind is a nice song. I tried to say something about Swale but with firetrucks running by both windows four times, I just got in what I could. Tomorrow I’m going to check out this band at the Monkey House. 11.) Plastic Revolution – Doll Fight! Revolution Doll style now! That is dedicated to any girl who thinks she can play rock and roll, because she/you can! Those Queen City riot girrrls prove it. Rebekah Whitehurst proves it with Blue Button. Darlene Scarano proves it with Blue Button, and Caroline O’Connor proves it with Vedora. Tomorrow I’m going to check out Black Rabbit and Phil and the Affiliates at the Monkey House. If not for work, I’d love to go to Montpelier tomorrow for Swale and Vedora at Charlie O’s. That will be a great show! I think I’m going out Saturday to Radio Bean to check out this next guy. I couldn’t help playing the long Elephants song after Ray. Hey, I’d love to see Elephants again. Does anyone know anyone who can book them somewhere? I hope you enjoyed checking out the music of our town. Let’s do it again next week, shall we? But, first, here’s my take. We are watching a season of discontent in the world of young democracies, from Egypt to Turkey to Brazil. Protests, marches, and of course, one coup. As we watch the turbulence around the globe, I think about our own democratic journey and how interesting it is that the distinctive feature of the American system is not how democratic it is, but rather how undemocratic it is. Hear me out. We have three co-equal branches of government and the one with the final say on many issues, the Supreme Court, is composed of 9 unelected men and women. The American senate is the most unrepresentative upper house in the democratic universe, with the exception of Britain’s House of Lords, which is of course utterly powerless. California’s 38 million people have the same representation in the Senate as do Wyoming’s 576,000. State and local governments battle federal power. Private businesses and other nongovernmental groups, are also part of this mix. Now, there are aspects of the system that many Americans don’t like. I think the Senate, in general, is a broken institution from its representation to its absurd rules about filibusters. But the system of checks and balances, as the famous phrase goes, has, in general worked well. The form of government that came out of the French Revolution, by contrast, is one of absolute sovereignty, centralizing all powers at the top. Since that revolution, France has had many upheavals and changes in regime, going through two monarchies, two empires, one crypto- fascist dictatorship and five republics. The United States, by contrast, has had a continuous constitutional existence. Why is this important as we look at the world today? Well, in so many of these cases, what we are watching are democratic governments, elected freely and fairly, that are abusing individual rights, ignoring minority parties and eroding checks and balances. Observing the early flowering of this phenomenon in the mid 1990s, I described it as illiberal democracy. And this is the problem we confront in the Arab world and so many other developing countries. The good news is that other elements within society are fighting against this kind of illiberal democracy; political groups, student movements. Even the clash between the Egyptian military and the Muslim Brotherhood could be useful in the long-run because it resembles the clashes between kings and lords, the church and the state, the aristocracy and the new business elites in the development of Western liberal democracy. It can look very messy while it’s happening and neither side has a monopoly of virtue, but the contest between various power centers over time does help to create a system of checks and balances. So, what we’re watching might look like crisis and breakdown, but it might turn out to be the road to better government. Huffington Post’s Jason Cherkis spent two days at the Kentucky State Fair with workers from Kynect, the state’s health marketplace. He came back with a better understanding of deep-fried Kool Aid (“funnel cake dough flavored with the powdered drink mix”) and this fantastic anecdote. The man is impressed. “This beats Obamacare I hope,” he mutters to one of the workers. “Do I burst his bubble?” wonders Reina Diaz-Dempsey, overseeing the operation. She doesn’t. If he signs up, it’s a win-win, whether he knows he’s been ensnared by Obamacare or not. Federal budget cuts, known as the sequester, are decreasing the already limited spaces in the national and state Head Start preschool programs. In northwest Vermont, 71 slots for Head Start have been cut heading into this school year, said Paul Behrman, director of the Champlain Valley Head Start program which serves Chittenden, Franklin, Grand Isle and Addison counties. In Franklin County, 10 preschool slots have been eliminated between the start of the 2012-2013 and the upcoming school years, he said. The eliminated preschool slots are a result of $800,000 in cuts for Vermont’s Head Start and Early Head Start — a similar program for pregnant mothers and infants and toddlers up to two years old — programs. Behrman said children and their families weren’t the only ones affected by the cuts. The Champlain Valley Head Start had to lay off seven full-time employees, as well as reducing the hours for 10 other employees. I just got back from seeing and hearing music at Radio Bean. I wanted to check out Milton Busker and was glad I did. The set had a downbeat tone, but was quiet and powerful. I knew the song Dogs at the Door, and was surprised at how well he did it live. It was just him, and electrified acoustic guitar. The foot pedals created the mood and he let the song flow with a subtle intensity. The rest of the songs were good, and a couple had serious builds. I was well impressed and glad I dragged myself out. After his set, I took a walk around town, then made it back for the last couple of songs by Dietrich Gosser and his drummer. He played some strong songs on acoustic, but I did not catch enough to make a full impression. In the break, Vetica loaded in their gear and a blanket and pillows were set on the floor. The next act was billed as story time with Hana Zara. She sat on the stage, and invited us to sit on the floor. Many of us did and she told stories and played her wonderful songs. I really liked the song she opened with, The North. Lithuania and Santa Anna were as captivating as last time I saw her. Symmetry and Science Fiction were so starkly drawn you could feel every nuance of the emotions behind the stories. Her songs have a great sweep, tons of changes, and a wonderful flow. I’m completely on board for whatever else she’s got. Vetica followed with a blisteringly loud and fast rock set. The two guitars, bass, drum band played a ton of short fun songs that kept me dancing from first note to last. Their ear-ringing set was nothing but joy. After the last note rang out, I took the door and the quick walk home. Through the rocked out daze, an acoustic guitar started playing in my mind. It took a few seconds to recognize, but it was Lithuania, and it’s still playing in my head. I’m blissfully happy and it sounds great. I just got home from internet radio show number 26 on WBKM.ORG. I had new music to play, so a few discs to load in. One had an error that froze the console a bit (thank goodness the music was still playing) but once it cleared I was set to go. I stuck in a cool song before my song before, and stuck in two after my song after. From our small city to the great big world, these are The Sounds Of Burlington. When I first started seeing music in Burlington there was a lot of old school rock and blues. Here are some of the best. All those bands made Nectar’s the legend that it is. The blues rock sound changed when an odd bunch of guys reacted to the changing music of the world, and brought new sounds to Burlington. I loved seeing Vetica at the Precipice. I was hoping they would play again, and they are coming to Radio Bean tomorrow. I’m psyched I have a song to play by The Persian Claws. They’ve been playing some real nice rock shows lately. I got to know 2 Hot as a Party star song and love how catchy it is. Matthew Stephen Perry plays in both bands and it was great to see him at the Black Crowes show at the Maritime Festival on the waterfront last Saturday. The Crowes wrapped the night in a wonderful way, but I also caught Swale at the start of the day. Here is the next song on A Small Arrival, the melancholy and gorgeous Middlesex. That is a Gabrielle Douglas solo song, but sounds so much like a great Cush song. I love the Milton song and missed him at the Precipice. He is coming to Radio Bean tomorrow too. Swale were great at the festival. I think I forgot to mention how amazing Johnnie Day Durandis on the saw on that song. Speaking of Radio Bean, last night I saw the first show by the new drummer, the album release party, and the last show that Doll Fight! will play. It was a great loud fast show. Part of what made it great was openers Poxy. They really impressed me, and I will play one of their songs after Doll Fight! 12.) I Fight Back – Doll Fight! Rough Francis are great. The Wards are classic Burlington, but still play out now and then. It’s nice to hear that version with Diane Sullivan singing a verse. Portland Maine’s When Particles Collide come to town, now and then, to rock us. Great lyrics in moles. Do you have a chemistry degree? Poxy were great at Radio Bean, and I’m glad the song played the second time. Be Aggressive rock. I’ll miss you Doll Fight! I hope you enjoyed checking out the music of our town. Let’s do it again next week, shall we? The walk home was lovely. I ran into Hana Zara and Joe Adler. Joe said there will be a punk show coming up with Trapper Keeper, Blue Button, and Rough Francis. Whoo Hooo!!!!!!!!!!!!!!! !